We know that developers will be able to start submitting their Mango-versions of their app to the Marketplace begging this week, but what's not clear is if OEMs would have the same limitations. A reason to ask that is because OEMs always seem to get a little lead time and also deeper access to the OS than regular 3rd party devs. Those two things right there tell us that indeed, this app is now Mango-compatible. Interestingly, other apps such as LG's Today and Weather & Clock do not offer instant resume, meaning those still need a refresh. However, when we installed LG's Metro Scanner app we get a "Device does not support compass" warning upon launch and that app also supports fast resume, meaning it too is now Mango compatible. 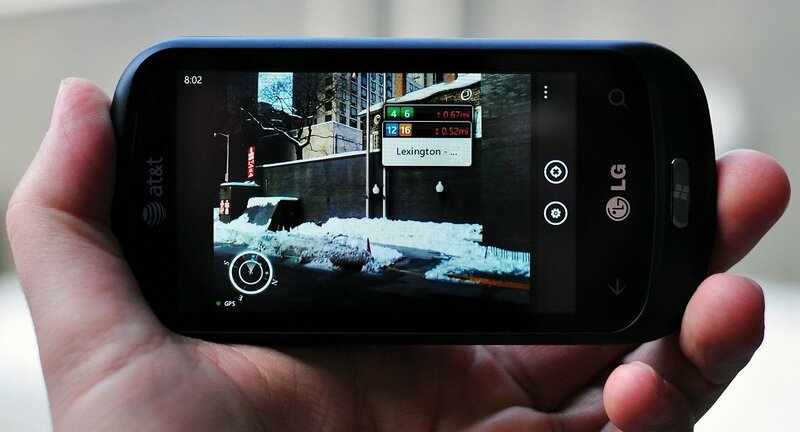 We suppose it makes sense that their two augmented reality apps get update so that presumably that folks can test new LG hardware that will feature more robust compass and gyroscope support. Interesting to see that OEMs can sneak those apps in the Marketplace. We should also mention that we've heard that some HTC apps have also been updated, but we could not verify that they were Mango compatible as they lacked fast-resume. Thanks, Ahmed, for the tip!